Geoff Tsen, Ph.D., is Vice President and General Manager of USP-China. In this role, he is responsible for leading strategic development and advancing public health through USP’s quality standards. As General Manager of USP- China, Dr. Tsen focuses on operational units including Global Laboratory Operations, Science and Pharmacopeial Education as well as customer development and external affairs. 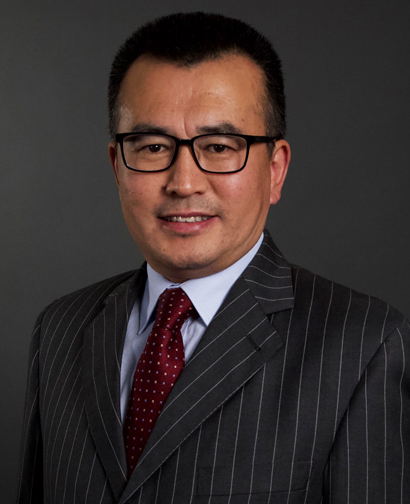 Dr. Tsen started his professional career in 1997 as a Ph.D. research scientist at Tufts University Medical Center in Boston, followed by nearly six years in commercial sales and marketing at Bio-Rad, a global life sciences and in vitro diagnostic player, based in Massachusetts and California. In 2006, Dr. Tsen served in McKinsey & Company as a management consultant, focusing on strategy, operations and organizational structure within the healthcare sector including the top 10 global pharmaceuticals companies. He has held leadership roles at Becton Dickinson with its pre-analytical portfolio, and the Biopharmaceuticals Group of Pall, a worldwide leader in filtration and purification technologies. Most recently, he served as a principle consultant at Ernst & Young, China’s strategy and operations group, specializing in healthcare and life sciences. Dr. Tsen holds a Ph.D. degree in molecular and cellular biology from The Ohio State University, a MBA degree from University of Chicago Booth School of Business, and a B.S. degree from Fudan University.